Black Creek is a favorite early spring day trip we visited in 2002, 2012, and 2015. 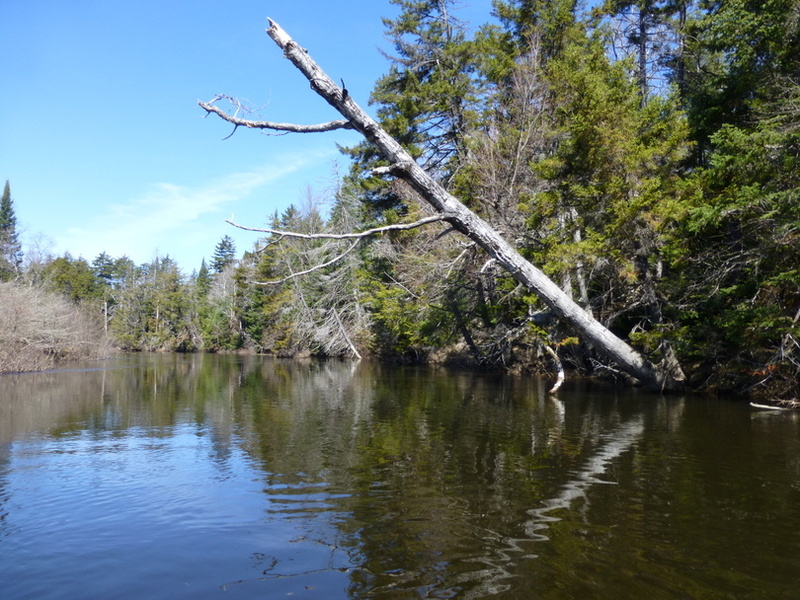 It is close, flat water, with lots of birds and early skunk cabbage. It can be tailored into a trip ranging from 2-4 hours. 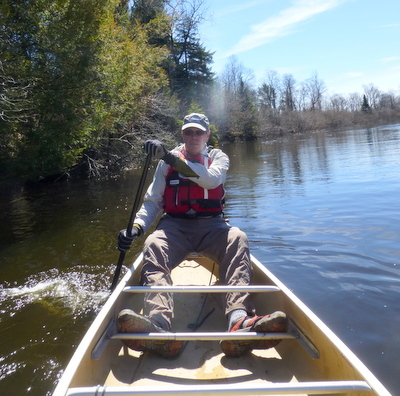 In 2015 we took an early canoe trip on Black Creek. Usually lots of birds and skunk cabbage; I think we went a little earlier than usual, but it was still a beautiful stream. The buttress for the old Shawangunk Road/Railroad is separating from the bank more and more every year. We used to rely on this as our spot to pull out for a snack and stretch our legs. 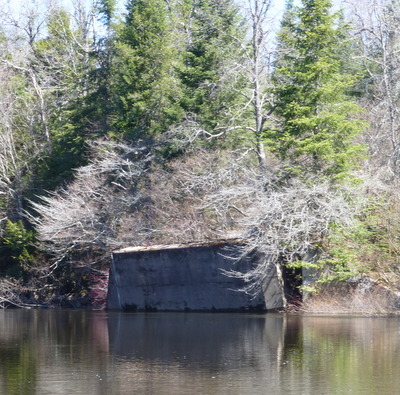 Now it looks ready to topple into the stream. 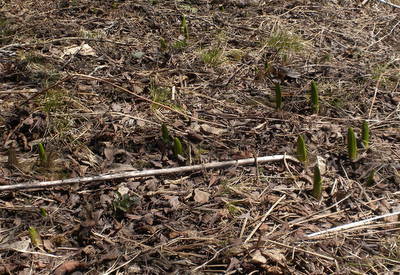 The usually copious amounts of skunk cabbage were just emerging from the ground. On the stream we were out of the cool breeze, but wore gloves because the water was still cold. We saw small snow banks alongside the stream. 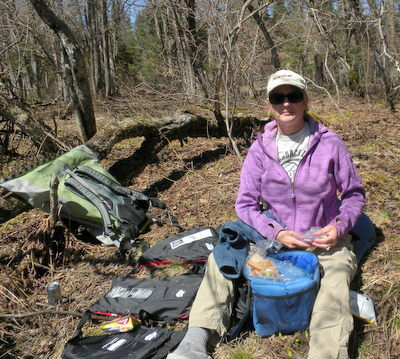 Kathryn found a nice place for us to land, sit in the sun, out of the wind and enjoy our lunch. It took us 1 hour from departure to being on the water. 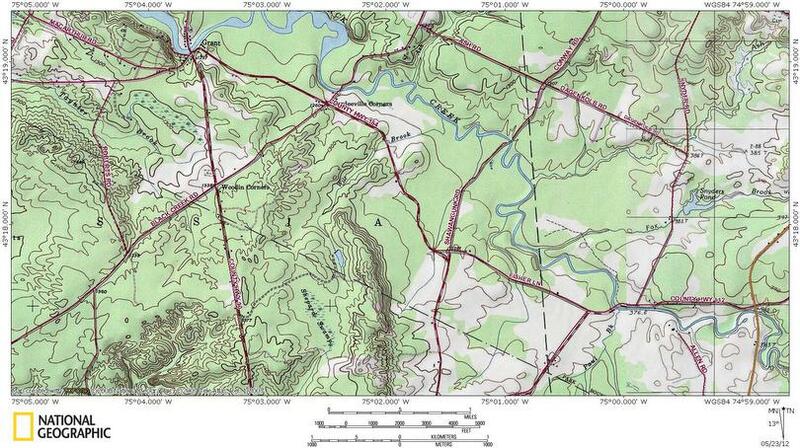 We paddled for 2 hours with a small break and exited at bridge Black Creek road. There were branches underwater at the take-out and it was a little slippery, but it cut off the last 45-60 minutes of paddling into Grant.